"Take those drugs and you will enter a bleak and lonely world, Jerry." Persepolis creator/co-director Marjane Satrapi has made a comically dark and unsettling portrait of a serial killer and his mental health problems. In The Voices, actor Ryan Reynolds uses his inherently likeable charm and charisma to create a deeply troubling yet sympathetic portrayal of a well-meaning factory worker, Jerry Hickfang, who becomes severely unhinged. He tries to cope with his daily challenges while going off his medication and hearing his pet cat and dog manifest his own schizophrenic, dark voices (with bizarre accents) telling him to commit murder. It's a tight walk between goofy humour, Reynolds' dynamic performance, and bursts of explicit violence. Michael R. Perry's pitch black screenplay goes for gross out horror and comedy in the same breadth, mostly successfully as it rests itself on a very talented cast of comedic and dramatic actors. Satrapi's bright visual flair and mannered control of the camera only add to the film's winning sense of simultaneous quirk and dread. Anna Kendrick is positively glowing and her usual high energy self as Jerry's co-worker who crushes on his positive attitude and good looks before learning about his dark side. Gemma Arterton and Jacki Weaver as Jerry's surly but elusive workplace crush and his worried psychiatrist complement Reynolds quite seamlessly. It's a difficult, but mostly successful, balance of its parts competing to destroy the artificial, candy coloured world Jerry envisions before realizing the real-life trauma of his past and the horrid violence of his present. 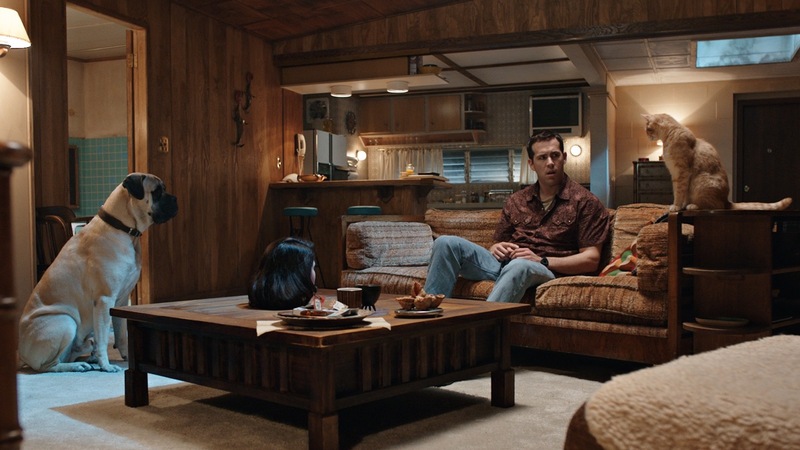 The Voices is a strange, tense film full of dark turns and uncomfortable yet endearing characters. It hinges on our connection to Reynolds' Jerry and his ability to execute acts of graphic horror while still inciting laughs and holding our attention. It's an admirable and captivating, if off putting, commitment to its disturbing material.